Good Girl Catnip Drops will have you cat meowing for more! Specially formulated with catnip flavour, these irresistible treats are excellent as training aids or just to show your feline friend how much you love them! 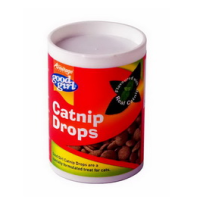 Cats cannot get enough of catnip so why not treat your pet to Good Girl Catnip Drops!